TC Candler has revealed their list of 100 Most Handsome Faces in Asia Pacific and China for 2018. 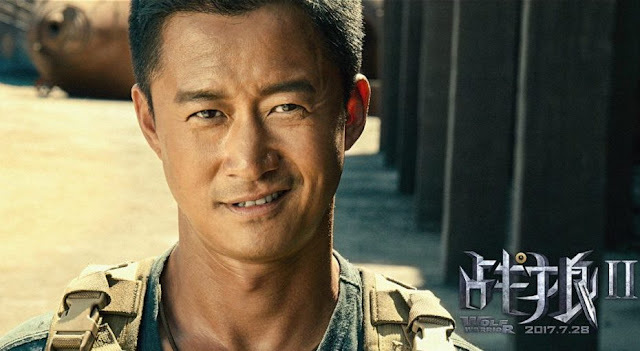 It is their first time to compile the face selection for the region and topping both charts is 44-year-old Wu Jing who is a famous action star, a family man and a father of two. 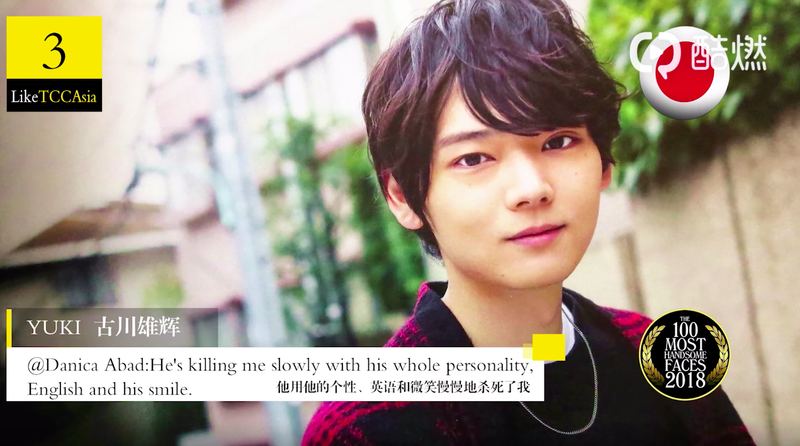 It certainly seems like the criteria for the winner is different from male to female as Wu Jing beats out Jeon Jungkook and Yuki Furukawa who come in second and third. Without further ado, let's take a look at some other celebrities in c-ent who also made the cut. In the top 10 are Hu Ge (6th), Kris Wu (8th) and Jackson Wang (9th). Deng Lun (12th) also ranks high followed by Jackson Yee (13th) and Zhang Yixing (15th). 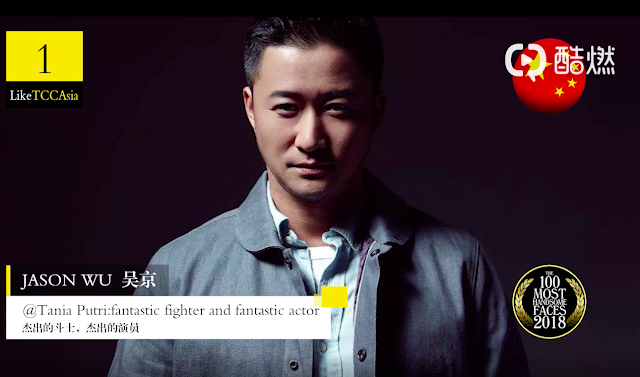 Wang Kai (17th) and Kenny Lin (19th) represent the post-80's actors. Liu Haoran (23rd), Bai Jingting (52nd), Wu Lei (67th) represent the post-90s actors. Kazakh singer Dimash (14th) is among many singers in the top 100. Others include Huang Zitao (26th), Hua Chenyu (28th), Li Ronghao (33rd), JJ Lin (35th), TFBoys Karry Wang (39th) and Roy Wang (42nd), Jay Chou (50th) and Luhan (56th) to name a few. We also have the boys from Idol Producer - Cai Xukun (22nd), Justin Huang Minghao (55th), Fan Chengcheng (62th), Zhu Zhengting (65th), You Zhangjing (68th) and Bu Fan (72nd). For drama or movie fans, these guys will be familiar to you - Zhang Yishan (27th), Eddie Peng (30th), Zhu Yilong (34th), Li YIfeng (41st), Yang Yang (45th), Bai Yu (48th), Zhou Yiwei (54th), William Feng (61st), Mark Chao (79th), Lawrence Wong (91th). Thai actors Mike Angelo (51st), Puttichai Kasetsin Push (75th), Itthipat Thanit (93rd) have all been c-drama leads before. Comedians Shen Teng (21st) and Xu Zheng (94th) also make the cut with the former making a joke about not being high enough on the list. Last but not the least is The Wandering Earth star Qu Chuxiao (99th). Can you share how this list gets compiled? Was it based off social media voting? I prefer the China list better than Asia because of the different 'handsome'-ness shown in the list. The Asia list has a tad too much androgynous looking guys (excluding the 3 indian guys who are all buff AF). Haven't looked at the women version yet. The voters must be Chinese and not other Asian races. For a guy that look like that is consider most handsome, its pretty screwed up. Sorry, Next!